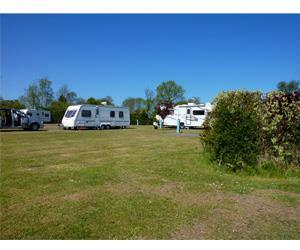 Cakes & Ale Holiday Park01728 831655work Holiday ParkSet in the heart of the stunning Suffolk Heritage Coast Cakes and Ale is an oasis of peace and tranquillity. Cakes and Ale opened 50 years ago and is still owned by the same family. The grounds are well maintained, the atmosphere friendly and welcoming. Facilities include a small bar open at weekends (longer hours during peak season), 7-acre recreation field with tennis courts and golf driving range, essentials shop and laundry facilities. Touring at Cakes and Ale could not be easier as every plot has water, electric, grey waste, hard standing and grass with ample space. Only 55 pitches in over 4 acres. The state of the art touring field facilities building offers communal shower rooms as well as 5 individual wet rooms (1 of which offers disabled access) all boasting under floor heating. There is also a spacious indoor food prep/wash up room as well as laundry facilities. Also available are 2 high quality rental lodges each with TV, fully fitted kitchen, BBQ and deck. Cakes and Ale has Holiday Homes available to purchase New from £38000 and pre-owned from £8000. These are the perfect country retreats to explore unwind and enjoy the stunning Suffolk Heritage Coast. So, come and enjoy the Suffolk way of life at Cakes and Ale. Set in the heart of the stunning Suffolk Heritage Coast Cakes and Ale is an oasis of peace and tranquillity. Cakes and Ale opened 50 years ago and is still owned by the same family. The grounds are well maintained, the atmosphere friendly and welcoming. Facilities include a small bar open at weekends (longer hours during peak season), 7-acre recreation field with tennis courts and golf driving range, essentials shop and laundry facilities. Facilities for children: Swings, slide, climbing frame, tennis courts, boule, volleyball, golf driving range. Paking spaces next to pitches. Children welcome from any age. From the A12 take the B119 through Saxmundham towards Leiston. About one mile out of Leiston follow brown Cakes & Ale signs to park. Saxmundham- take B119 towards Leiston. About one mile out of Leiston follow brown Cakes & Ale signs.